Working prototype versions of the smallest spacecraft ever conceived made it to orbit last month, hitching a ride aboard the Max Valier and Venta satellites operated by OHB System and launched into orbit by the Indian Space Research Organization (ISRO). 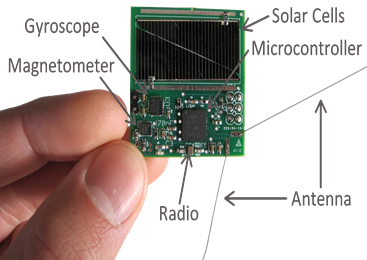 The tiny ‘Sprite’ spacecraft, created by the Breakthrough Starshot program and funded through a 2011 Kickstarter campaign, measure just 3.5-by-3.5 centimeters, and weigh only four grams, but incorporate power source (solar panels), computing components, sensors and radios for transmission. These itty bitty spaceborne Sprites are designed to help pave the way for even smaller single-chip spacecraft, and are currently performing well in systems tests that include beaming messages back and forth with California and New York ground-based communication stations, as well as with amateur radio buffs who can pick up the Sprites’ signals as they pass overhead. Why make such small spacecraft? Ultimately, Breakthrough Starshot hopes to be able to prove that it’s possible to create a spacecraft propelled by light that can reach speeds of up to 20 percent the speed of light itself, putting them in photographic range of Alpha Centauri planetary bodies including Proxima b.
It’s one of the potential travel methods described in detail in Liu Cixin’s excellent hard science fiction trilogy The Remembrance of Earth’s Past, where I first came across the theory, in case you want to learn more and enjoy a great summer read at the same time.